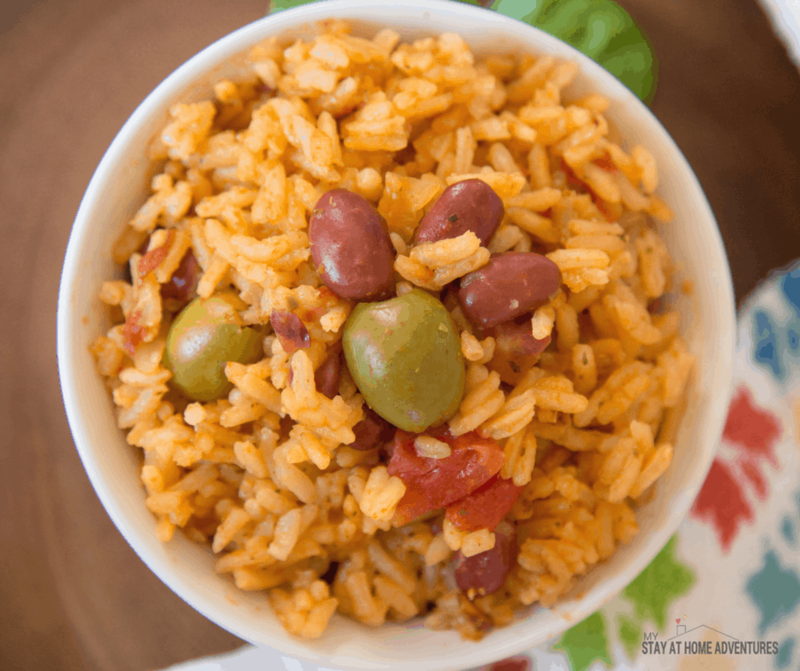 This Instant Pot Arroz Con Habichuelas or Puerto Rican Rice and Beans is the perfect family meal that you are going to love. 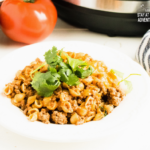 You and whoever taste this delicious Puerto Rican Instant Pot recipe will taste perfection! It is so simple to make, and it doesn’t even take a lot of time to create! 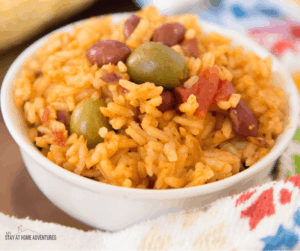 What I love about this Instant Pot Arroz Con Habichuelas is that is inexpensive to make, and it’s a big hit with everyone. 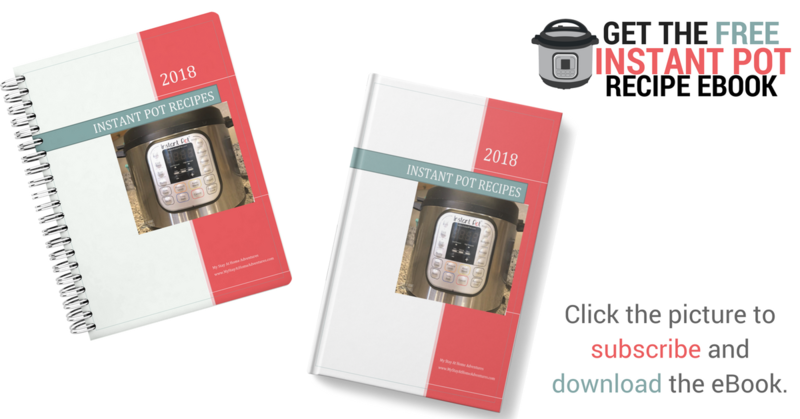 Use your favorite instant pressure cooker if you are using a Crock-Pot Express Crock Multi-Cooker this will work too. 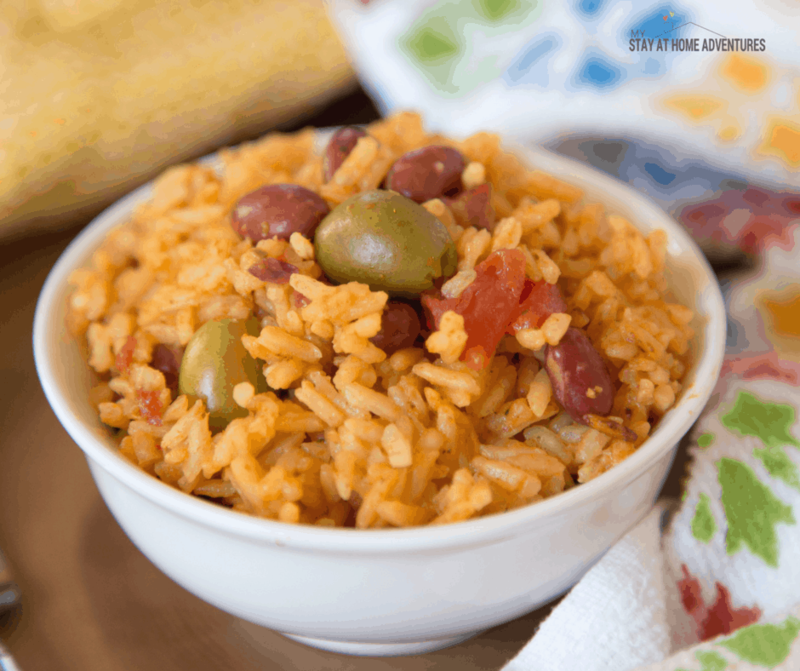 Before we begin to talk about this Puerto Rican Instant Pot Rice and Beans recipe we need to go over some information. Another point I want to make is that you can use any rice and any beans. 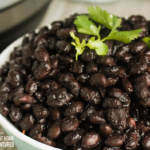 I used Goya Red Beans in a can for this recipe. So, let’s get back to this Arroz con Habichuelas, shall we? 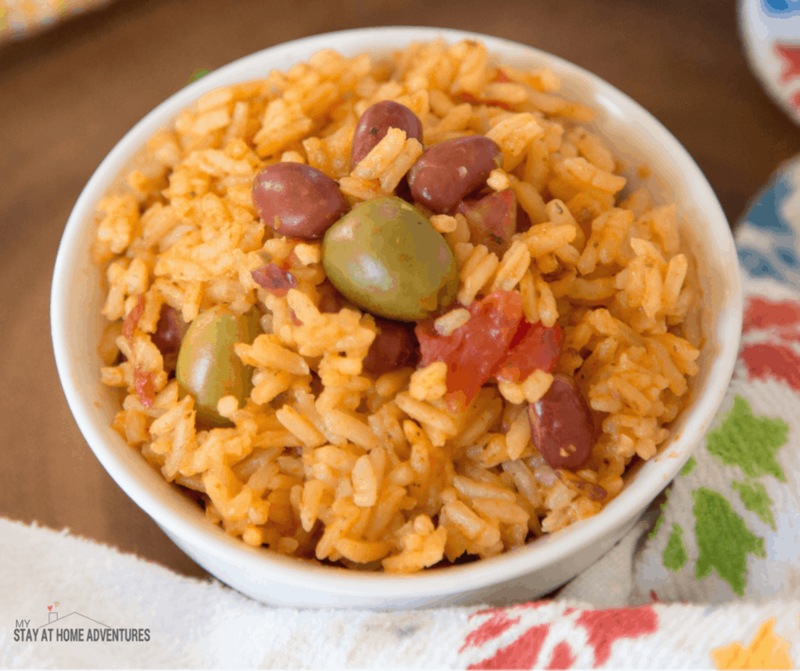 Puerto Rican rice and beans is a favorite dish in Puerto Rico and one I grew up eating. 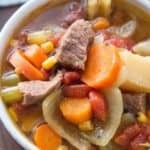 Having an Instant Pot has made it so easy to create this dish. Again, it is so simple to make that it cuts down my kitchen time as well. Hit Sauté button and add olive oil, sofrito, olives, tomato sauce, Sazon, diced tomatoes, and cook for about 3 minutes until everything is blended well. Add the beans and sauté for another minute or two. Add the chicken broth, salt and pepper (to taste), and rice and stir. Taste your rice and see if you like the taste if not add more salt or pepper. Seal your instant pressure cooker and cancel Saute. Hit the Rice button for 12 minutes. 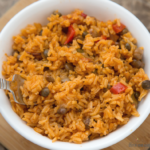 Your Arroz con Habichuelas is ready to serve! 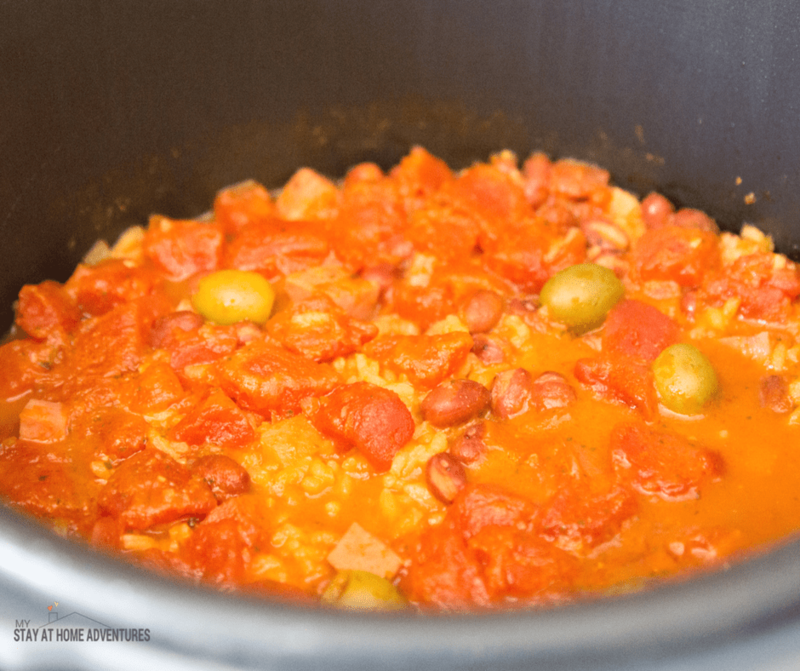 Ready to make this Instant Pot Arroz Con Habichuelas recipe? Here's the recipe card with the exact measurements. 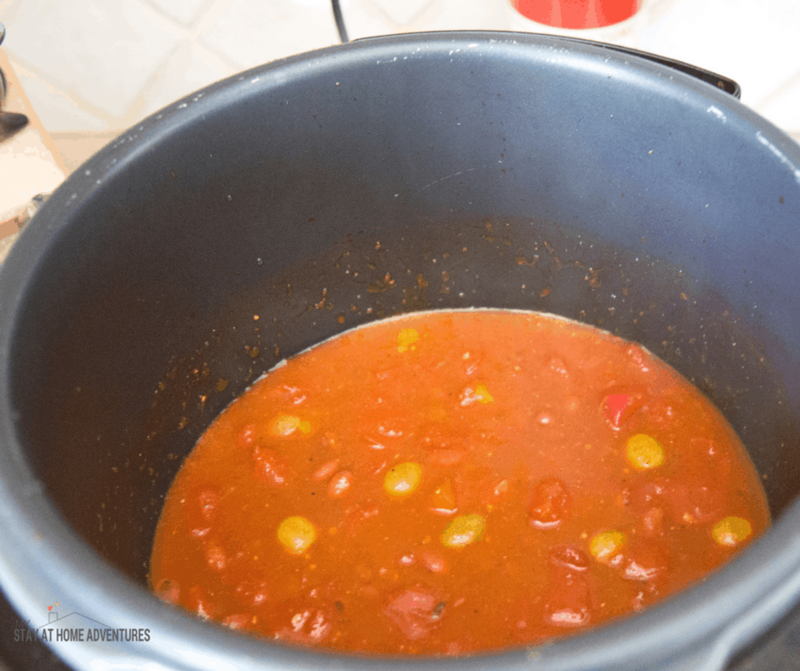 Hit Sauté button and add olive oil, sofrito, olives, tomato sauce, sazon, diced tomatoes and cook for about 3 to 4 minutes until everything is blended well.